If you’re looking for a new Toyota car that’s stylish, affordable and reliable but also puts you at the forefront of automotive environmentalism, why not go for the vehicle that’s synonymous with “green?” As the most popular hybrid vehicle on the market for years, the Toyota Prius only gets better with age. Now available in a variety of different sizes and variations, the Toyota Prius continues to take the hybrid auto world by storm with each passing model year. 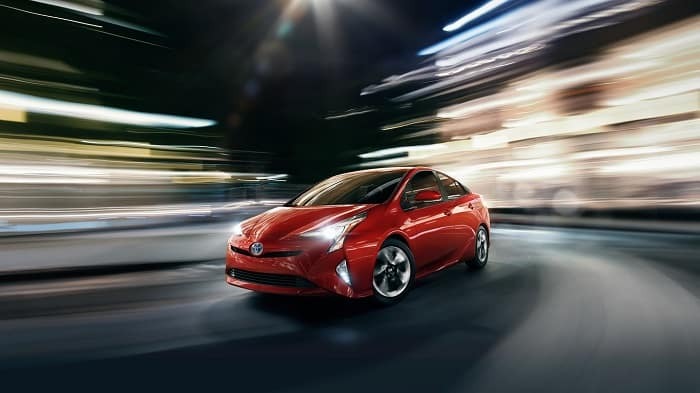 Here at Kendall Toyota of Fairbanks, your trusted local Fairbanks Toyota dealership, we’re confident you’ll find nothing lacking when you’re behind the wheel of the new Toyota Prius. Under the hood, the Toyota Prius runs on a hybrid powertrain that has kept this model on top of the competition for 14 years: a 1.8-liter aluminum four-cylinder DOHC with variable valve timing, paired with an electric permanent magnet AC synchronous motor and traction sealed nickel-metal hydride battery. Together, they are capable of producing up to 134 horsepower-but MPG is where this new car really shines, affording you up to 51 miles per gallon during stop-and-go city driving and 50 miles per gallon during highway driving for a combined fuel economy estimate of about 48 miles per gallon. Thanks to an electronically controlled continuously variable transmission and front-wheel drive, the Toyota Prius goes for the green in more ways than one. On the inside of the Toyota Prius, you’ll find a variety of tools designed to help you maximize efficiency and minimize your carbon footprint. A multi-information display shows your fuel consumption history, average fuel economy, distance to empty, average speed, energy monitor, hybrid system indicator and even an ECO savings record to keep you in the know about the environmental effectiveness of your driving habits. Meanwhile, a variety of driving modes including ECO and POWER allow you to pick and choose your priorities for the day. Ready to get your green on by taking the Toyota Prius home with you? The team here at Kendall Toyota of Fairbanks would be more than happy to assist you in that endeavor! When you stop by our Toyota dealership’s convenient location at 1000 Cadillac Ct. Fairbanks, Alaska 99701, you’ll be able to get behind the wheel of the Toyota Prius so you can make up your own mind about whether or not it’s the right car for you. Naturally, we’re a little biased, but we’re confident that you’ll fall head over heels in love with the Toyota Prius, so why not prove us wrong-or right? Contact us today with any questions or concerns. 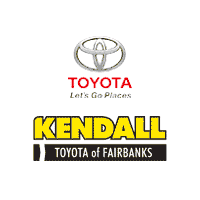 The whole team here at Kendall Toyota of Fairbanks is looking forward to assisting you in your next new car-buying journey.